Solution for merchants to start Online presence in a very structured manner within a marketplace to offer their customers a unified experience combining the best from In-Store and Online shopping. The value from our solution is to rapidly increase the merchant sales volume and to enhance his customers shopping experience at a very efficient cost. Consulting services for Wholesalers (B2B) and Manufacturers (B2B2C) to enhance their eCommerce strategy and to revise their end-to-end business processes. The value from our services is to enhance the efficiency of our customers business process to meet market and customers demand. Tailored solutions for retailers (B2C), Wholesalers (B2B) or Manufacturers (B2B2C) to implement eCommerce or eTrade solutions enhancing dramatically their Online business. The value from our services is to provide a customised solution that meet our customers business specific needs and expectations. 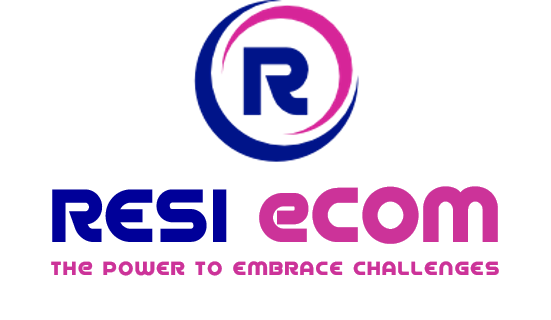 What do we do at Resi eCom ? We are the specialist of eCommerce and eTrade and we support your business transformation toward the Digital economy. Our approach is to setup an ecosystem of retailers, wholesalers, manufacturers and technology providers to enable new business opportunities while providing consumers with a better shopping experience. How our team can help you ? We provide out-of-the box innovative marketplace solutions to support your business and enable your transformation at light speed. We understand that you can require as well a unique and differentiated business model. Our business consultants can assess your specific needs and propose based on your business requirements tailored solutions. Are you a retailer or a wholesaler looking at increasing rapidly your customers satisfaction, your revenue and your brand reputation ? then you reached the right address ! Check out our Services and contact our team for any personalised assessment of your requirements.